Raw milk is available at Four Seasons Market through our vendor Harvest Acres. 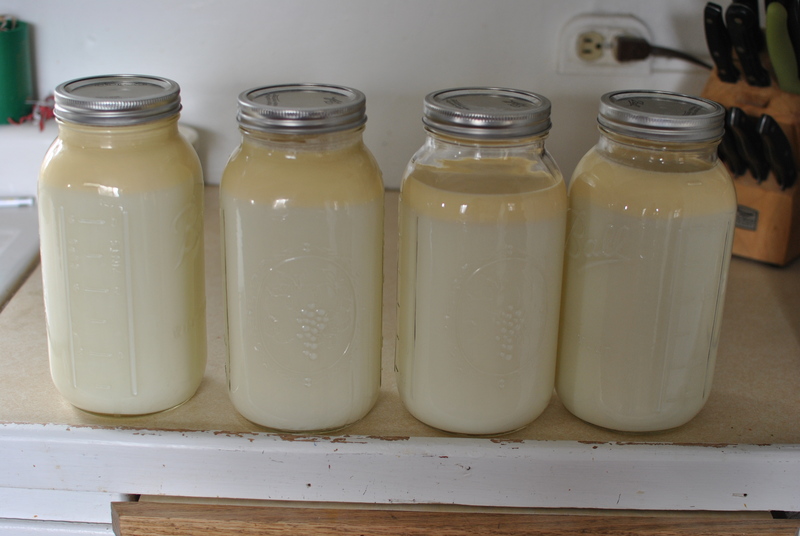 It is not legal to sell raw milk for human consumption in the State of Colorado. However, Colorado Revised Statutes 25-5-.5-117 allows for milk distribution through a consumer/farmer contract known as a herd share agreement. Harvest Acres, LLC offers shares in our herd of dairy animals. We offer both cow and goat shares. There is an annual share fee of $25 to purchase your interest in the herd. A weekly boarding fee of $12.50 per share provides for us to house, feed, milk and care for your portion of the herd. Each share will entitle the shareholder to approximately one half gallon of milk per week. Harvest Acres Farm invites all potential shareholders to visit, meet the animals, and observe our feeding, milk handling and care practices. This also provides time to ask questions and complete the necessary contracts. You can also help with chores and milking if you desire. You may review and print our milk share documents here: Harvest Acres Bill of Sale, Harvest Acres Milk Share Boarding Contract. You can signup and pay for herd shares at Four Seasons Farmers & Artisans Market in Wheat Ridge during their regular hours. Your milk share can also be picked up at Four Seasons Market. The fresh milk share is resupplied at Four Seasons each Friday. To learn more about Harvest Acres click HERE.